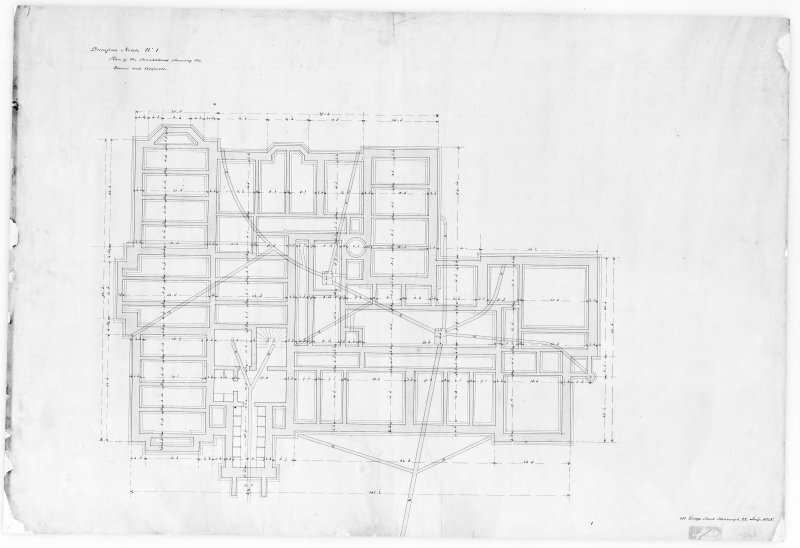 Photographic copy of plan showing foundations, drains and cesspool, Aros House, Mull. Mull, Aros House. 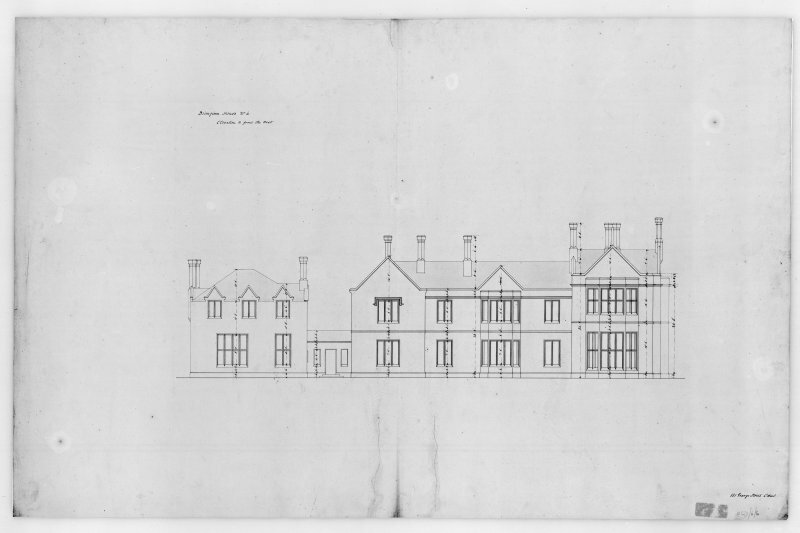 Photographic copy of plan of bedroom floor and elevation of East wing. 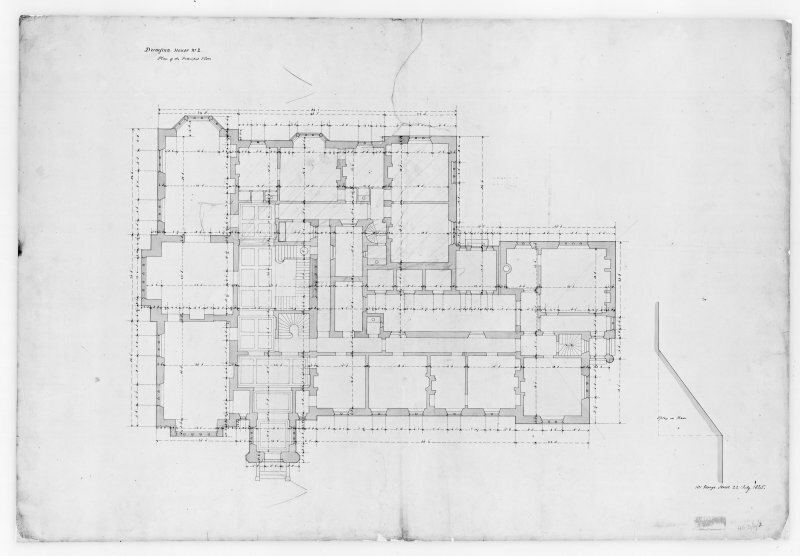 Photographic copy of plan showing bedroom floors, Aros House, Mull. Photographic copy of plan showing West elevation, Aros House, Mull. 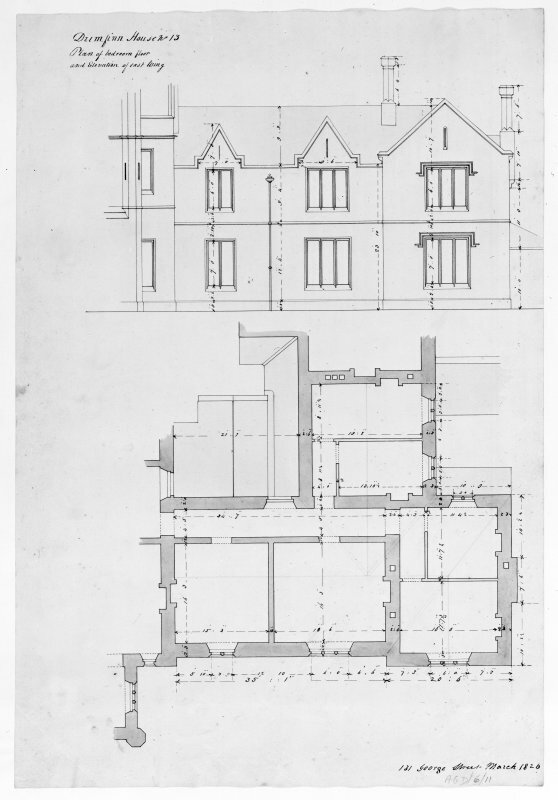 Photographic copy of plan of kitchen court, elevation to North and section, Aros House, Mull. 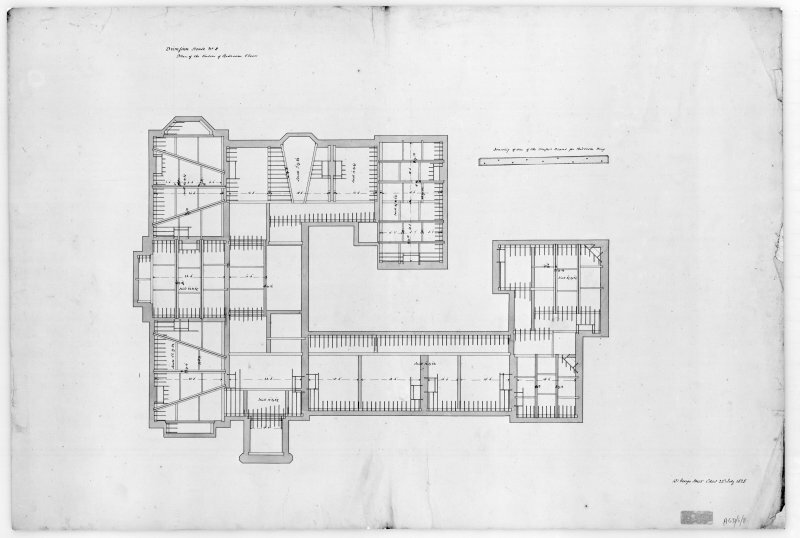 Photographic copy of plans of elevations of kitchen wing and stable offices, Aros House, Mull. 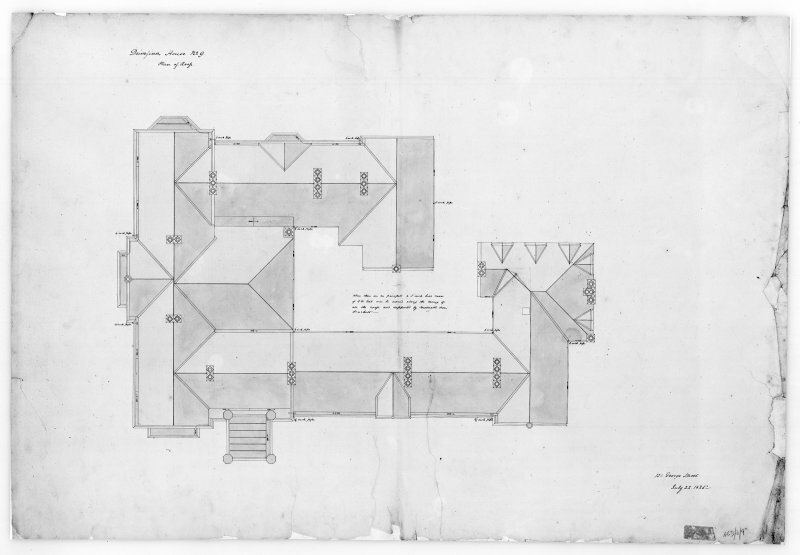 Photographic copy of plan of roof, Aros House, Mull. 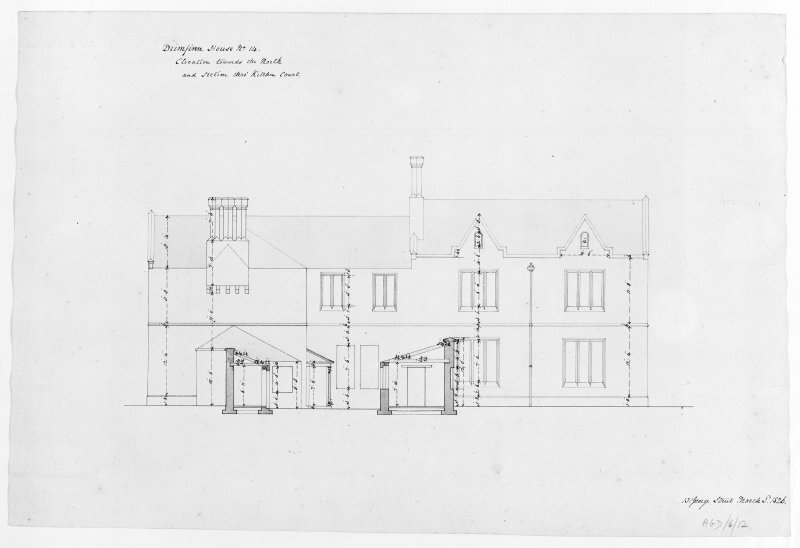 Photographic copy of plan showing elevation of principal entrance front, Aros House, Mull. 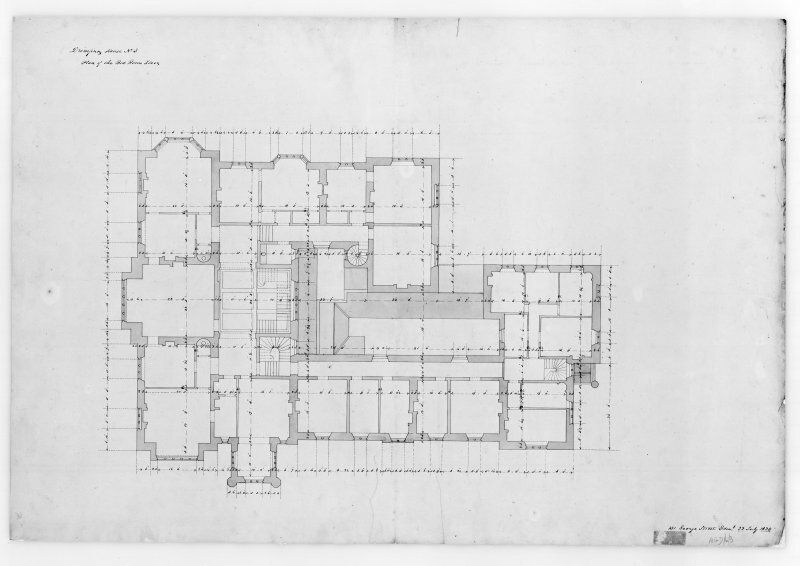 Photographic copy of plan showing principal floor, Aros House, Mull. 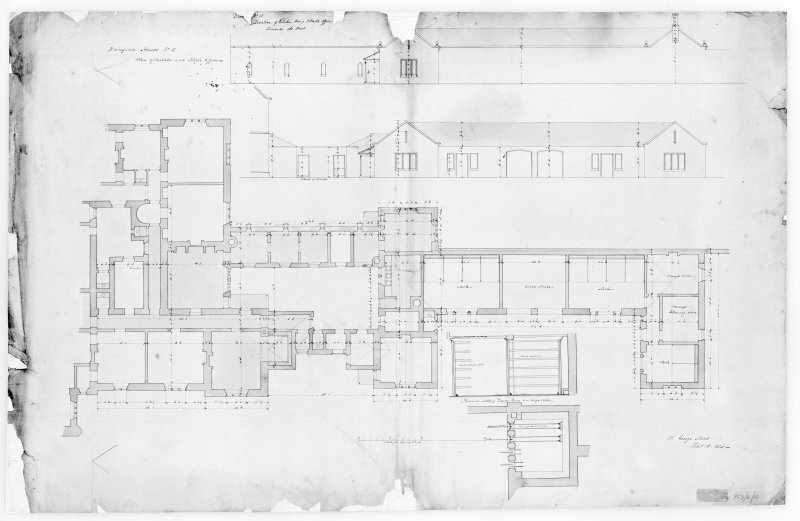 Photographic copy of plan showing sections through main building and kitchen wing, Aros House, Mull. 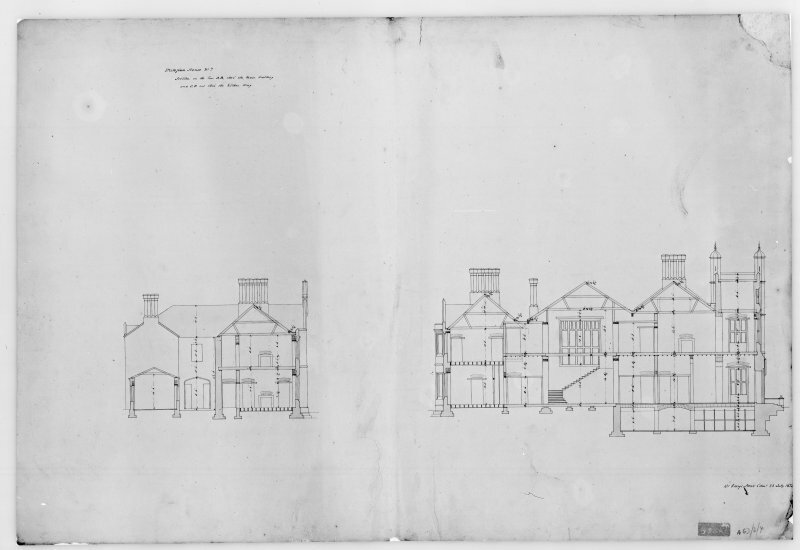 Photographic copy of plan showing North and South elevations, Aros House, Mull. 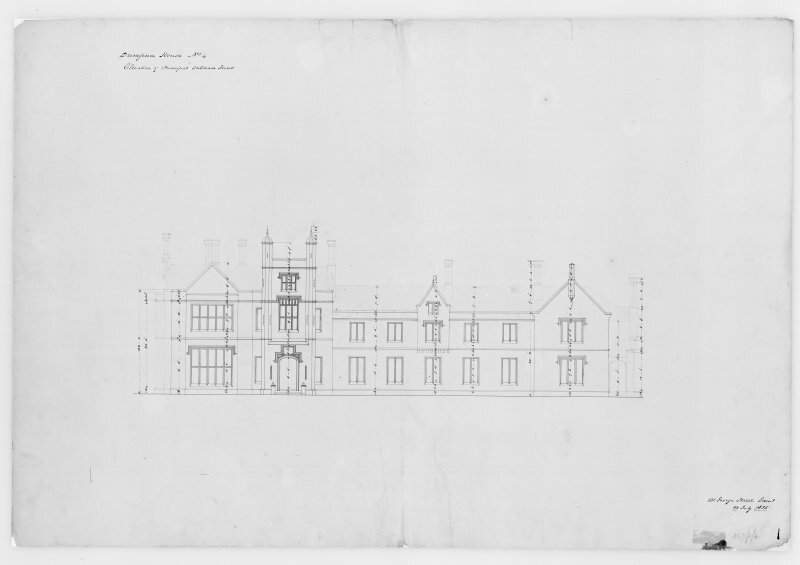 Aros House, or Drumfin, designed for Hugh MacLean of Coll by William Burn in 1825, was demolished about 1960. 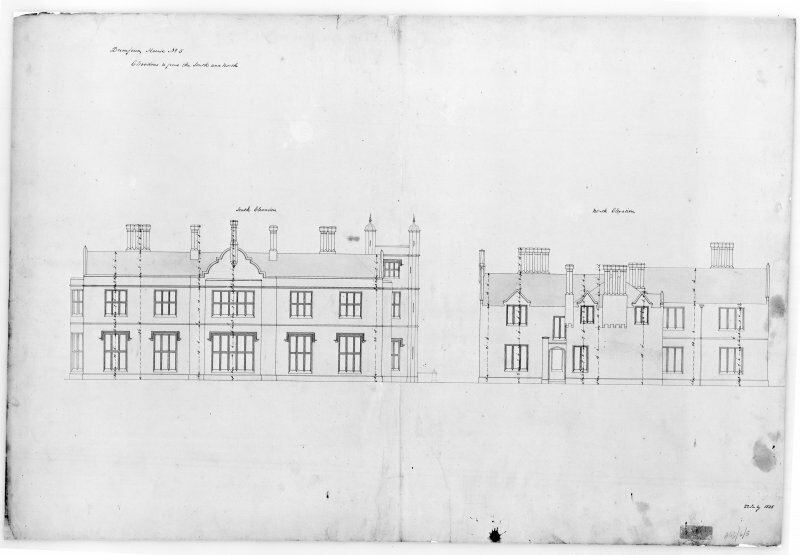 The architect's drawings (in NMRS: AGD/6) show an extensive building in simple Tudor style, but only part of the design was carried out, and it is not clear how much of the structure recorded in early photographs owed to the alterations made by J M Wardrop in 1875. Remains of the associated jetty, sawmill and walled garden are still extant.